lee's things: What do clowns, magicians and mimes have in common? What do clowns, magicians and mimes have in common? If you see a bad painting, do you hate all painters? If you hear a bad singer, do you hate all singers? 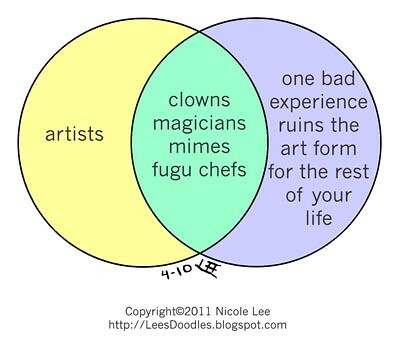 What's different about clowns, magicians and mimes?